Cassell Australia, Stanmore, New South Wales, 1976. First Edition. Hardcover. Very Good Condition/Very Good. acknowledgements, foreword by Petty, preface by the author and index. Illustrated endpapers, both different, showing different cartoons. 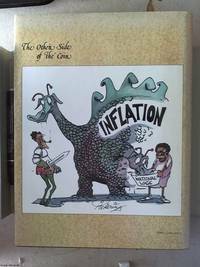 The book is illustrated with copious cartoons from First Fleet through to 1976. Brown coloured boards white coloured titles to the spine. Illustrated dustwrapper, showing the 'Landing at Botany Bay, by Gillray -- 1786', with brown coloured background with white coloured titles to front panel and spine. 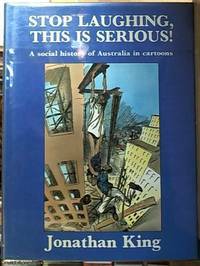 "This is an exciting cavalcade of political cartoons from Australian history which the first time tells the truth about the country's past. In 375 beautifully illustrated cartoons the artists who were there at the time tell us what really happened.".  from the front fold over panel blurb. Slight fading of the spine section of the dust jacket, and a touch of spotting to the top edge of the text block. Internally clean, no damage to describe. Size: 4to 9¾" - 12" tall. 240 pages,. Please refer to accompanying picture (s). Quantity Available: 1. Category: Art & Design; Cartoons; Sociology & Culture. ISBN: 0726947032. ISBN/EAN: 9780726947032. 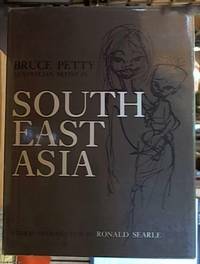 Inventory No: 0275914. . 9780726947032 This book weighs over 1 Kg packed and extra postal costs will be asked for when shipping outside Australia.. Breakdowns Portrait of the Artist As a Young %@ & *!